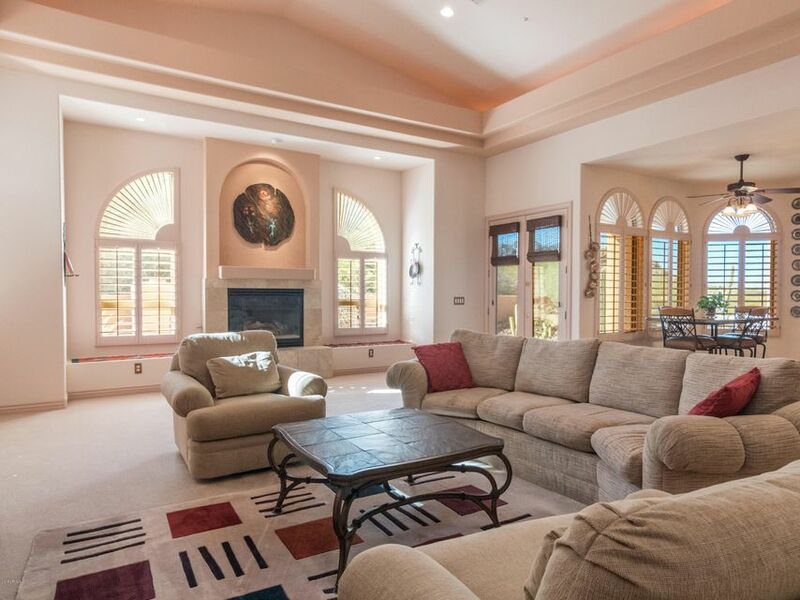 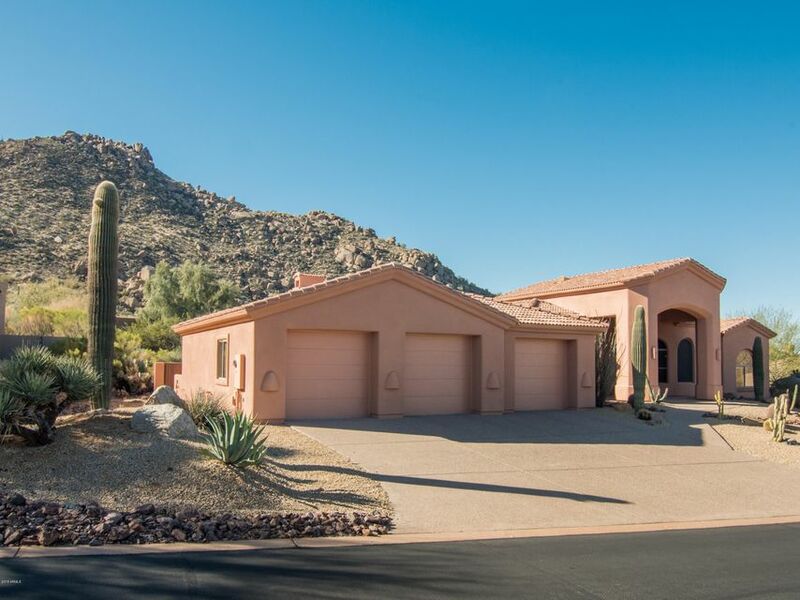 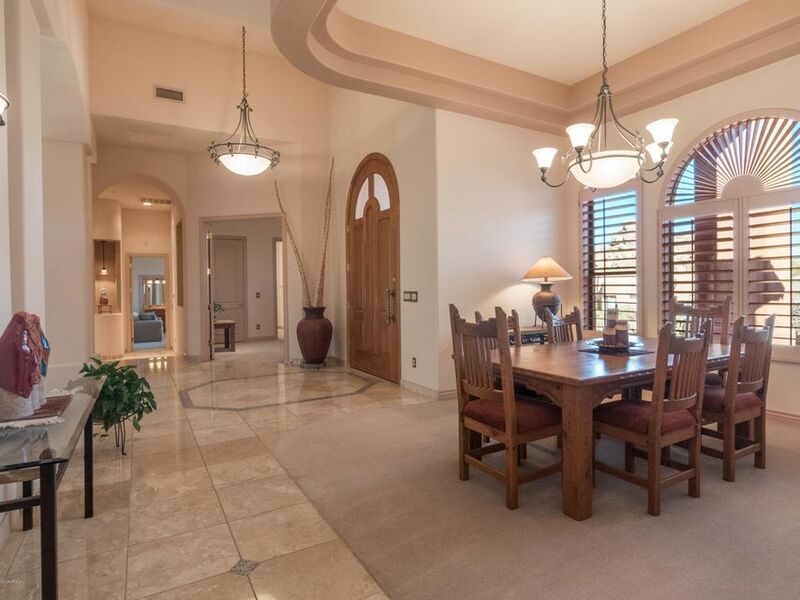 A breeze whispers through Desert Troon Ln, a quiet street in the highly sought-after, guard gated community of Troon Village, nestled at the foot of Troon Mountain. 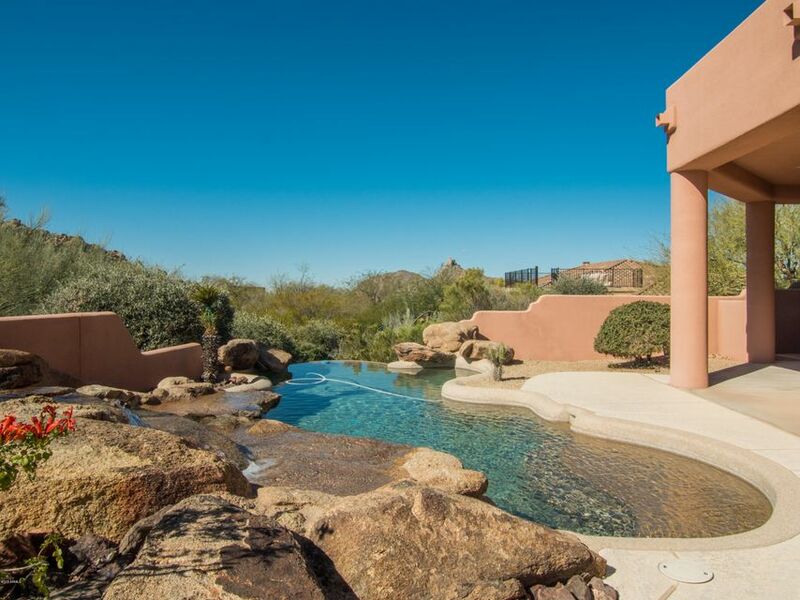 As you arrive at this Tom Argue custom home, you’ll notice the Natural Area Open Space directly across the street. 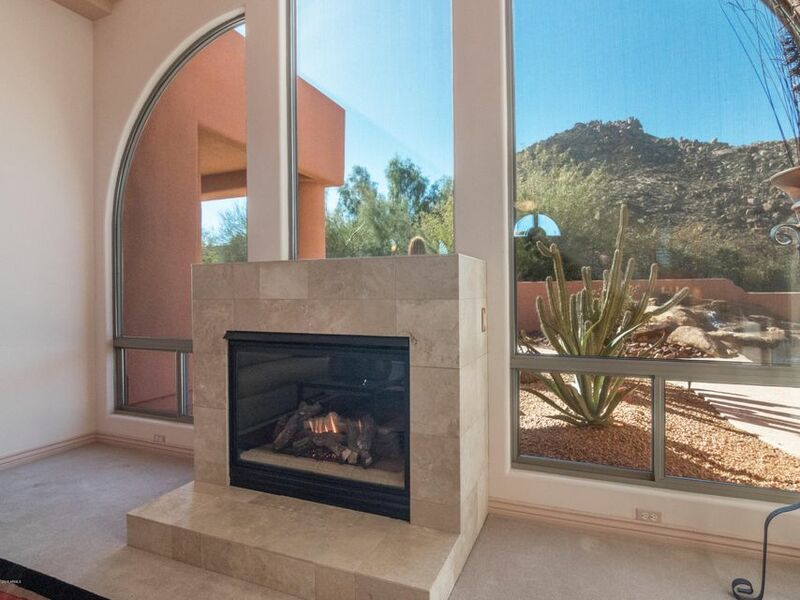 Enter through the 12-foot double-entry front door to see immediate, breathtaking views of Troon Mountain, accentuated by the living room’s large picture windows and cozy fireplace! 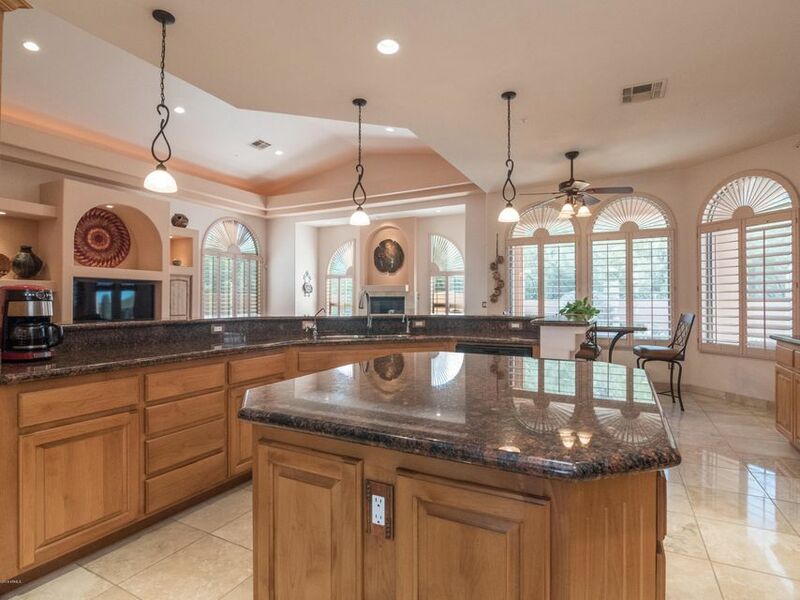 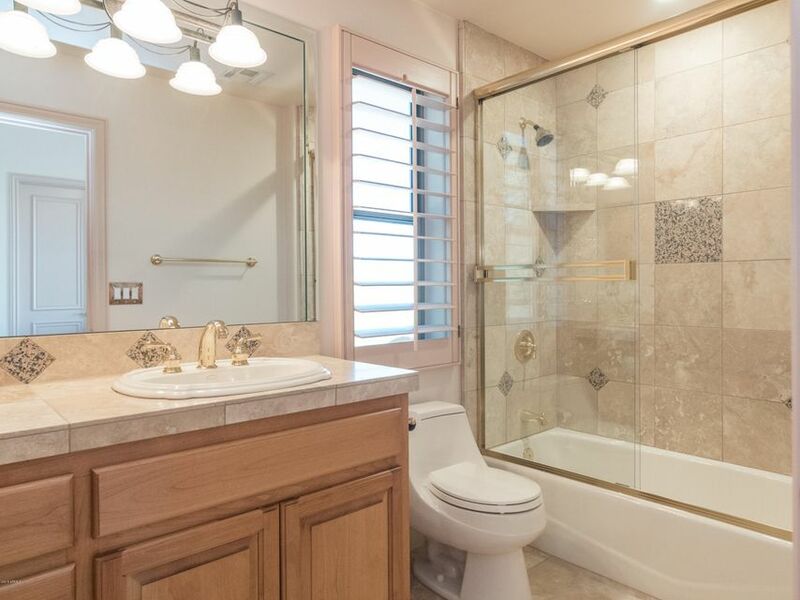 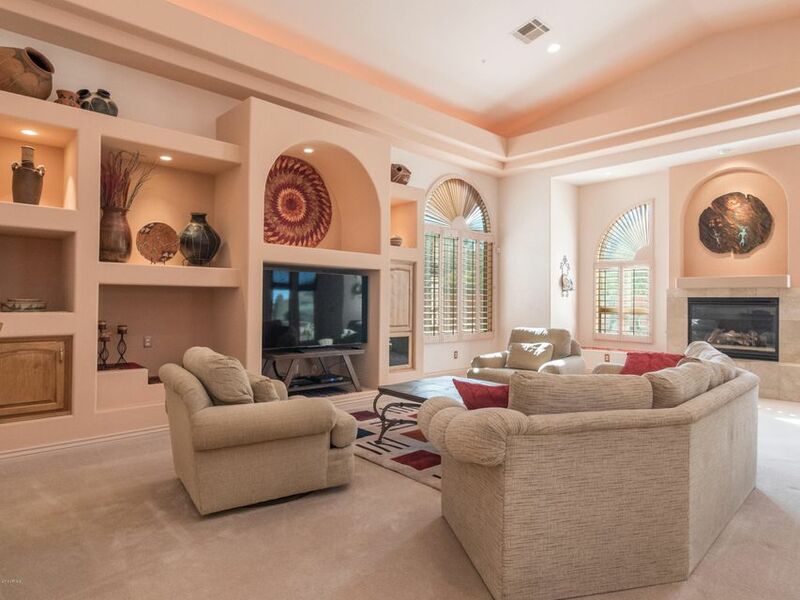 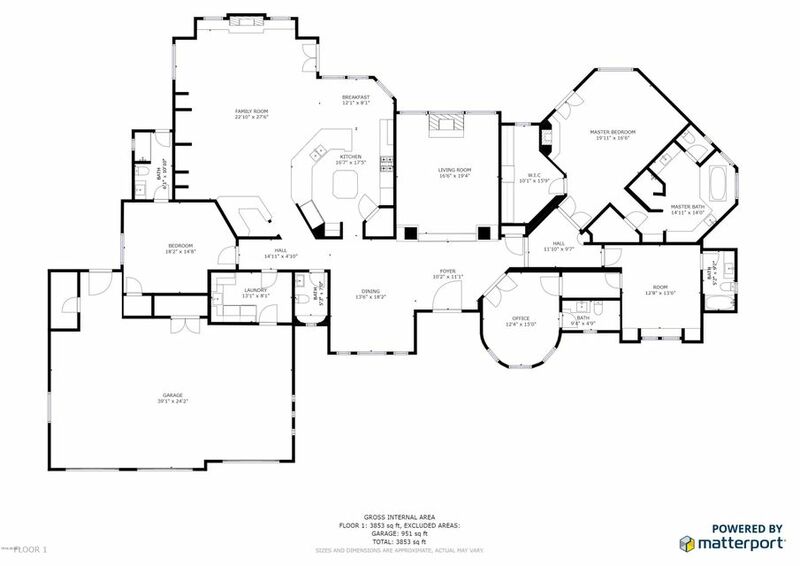 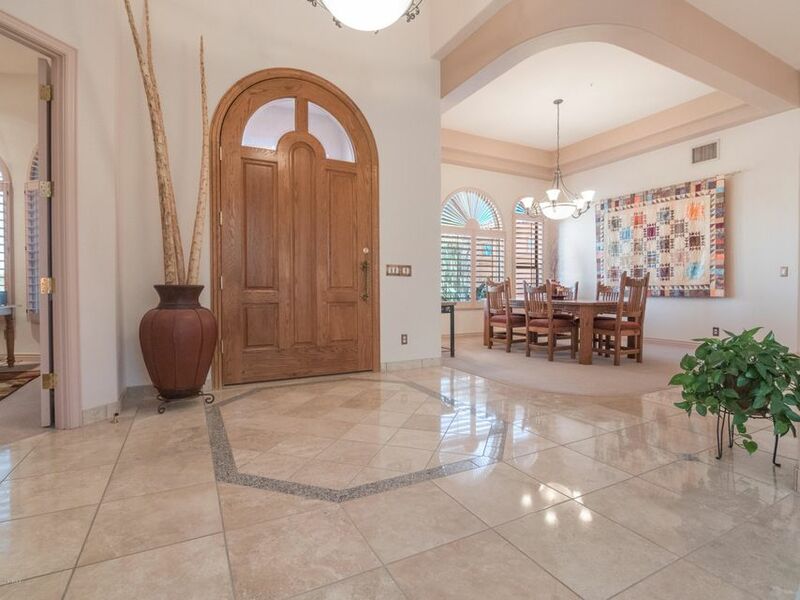 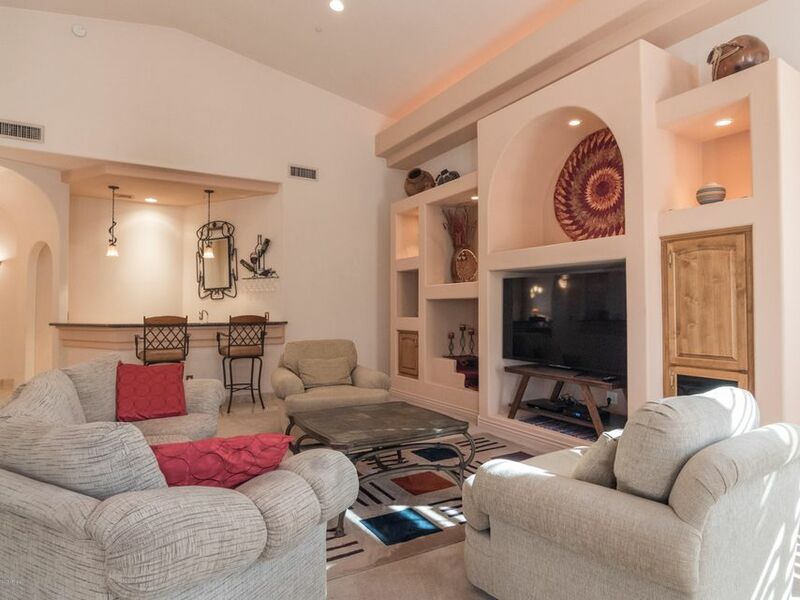 This beautiful, crisp and clean residence offers polished travertine flooring and travertine tile baseboards throughout all the main living areas as well as soaring ceilings throughout. 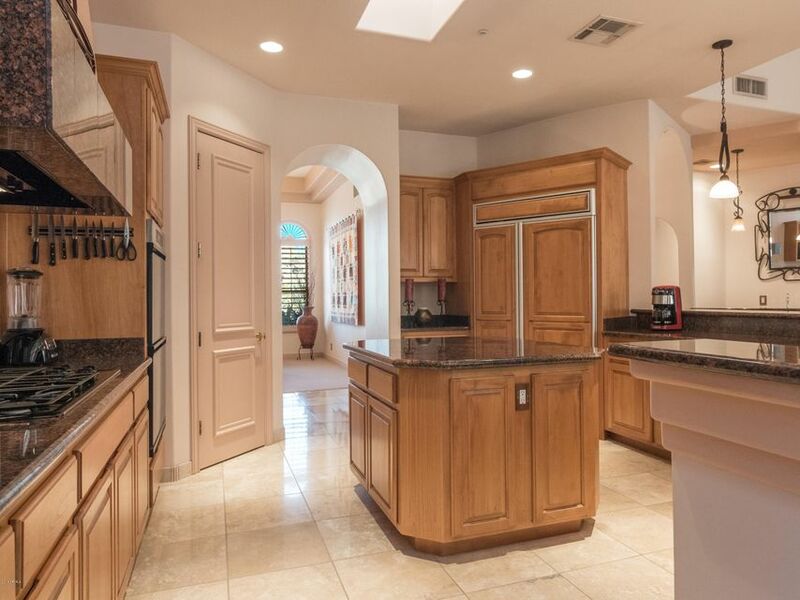 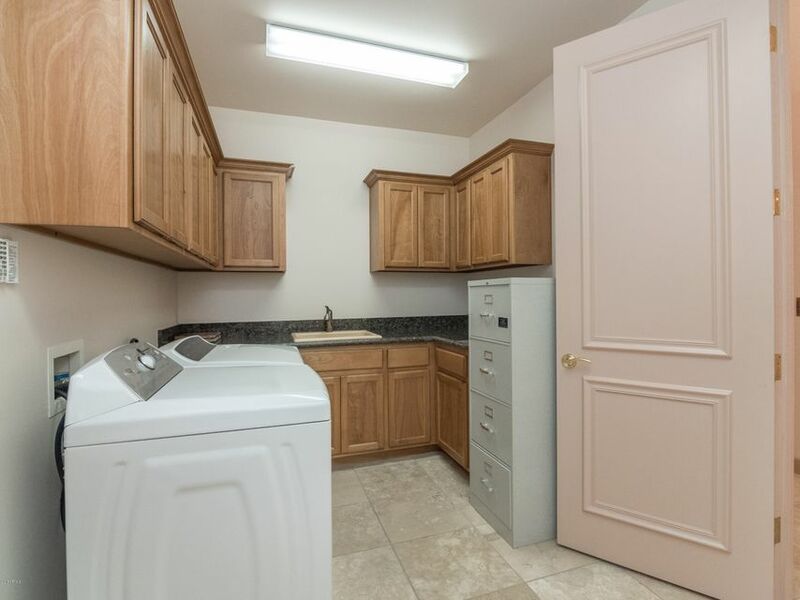 The large eat in kitchen offers dual ovens, a 5-burner gas cooktop, granite countertops, and a kitchen island that is plumbed for an additional sink. 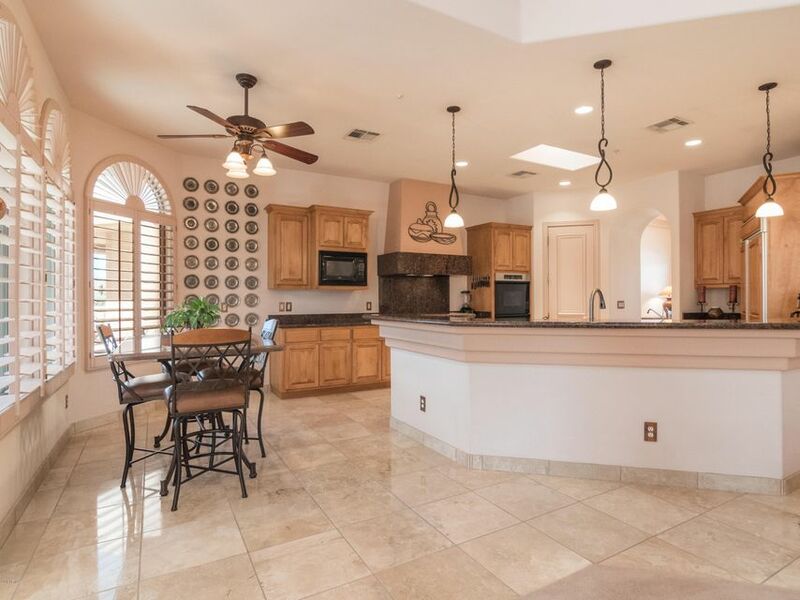 The kitchen is open to the spacious family room which features an additional fireplace and a wet bar with a built-in wine fridge. 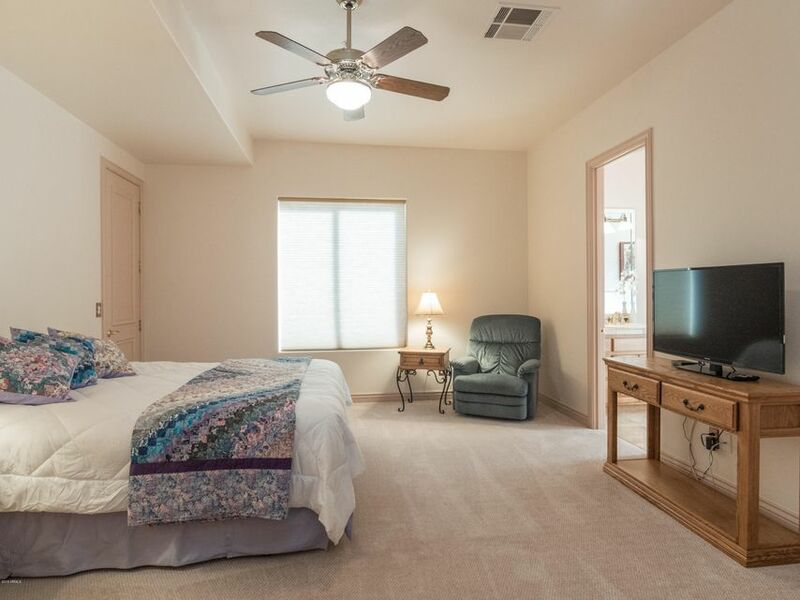 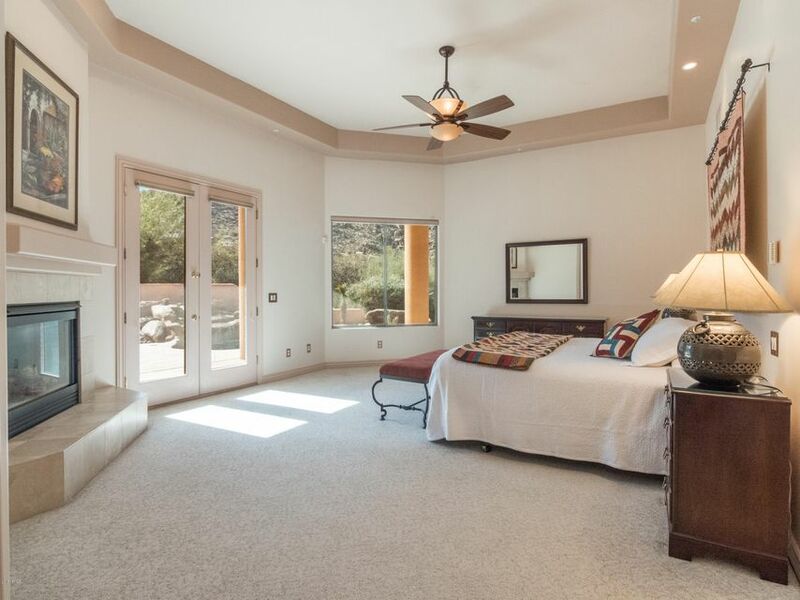 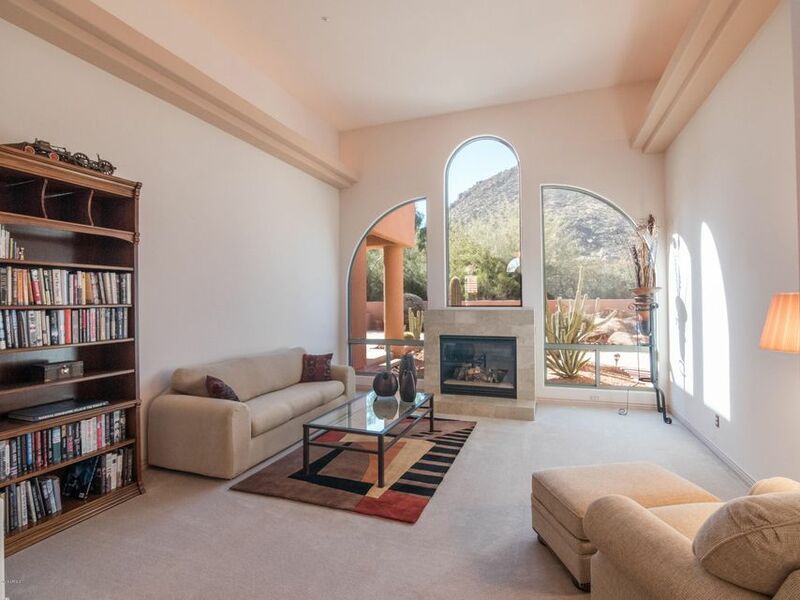 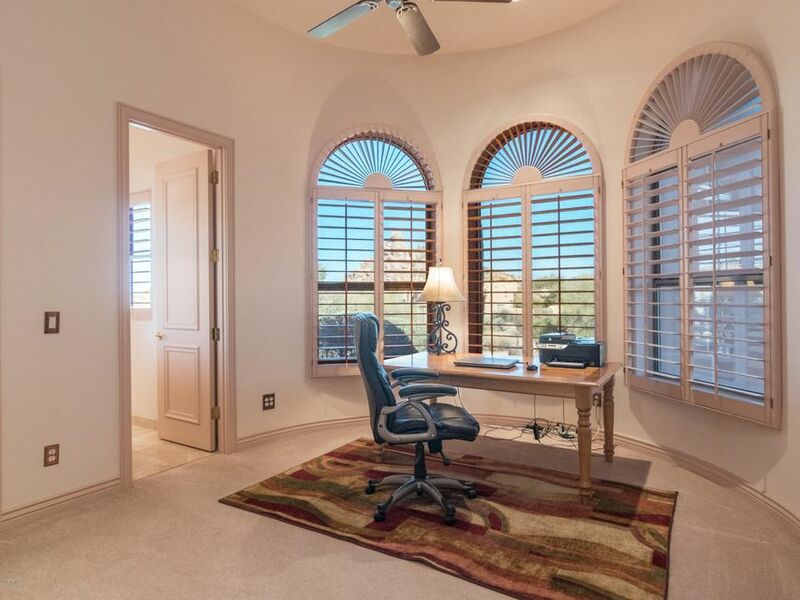 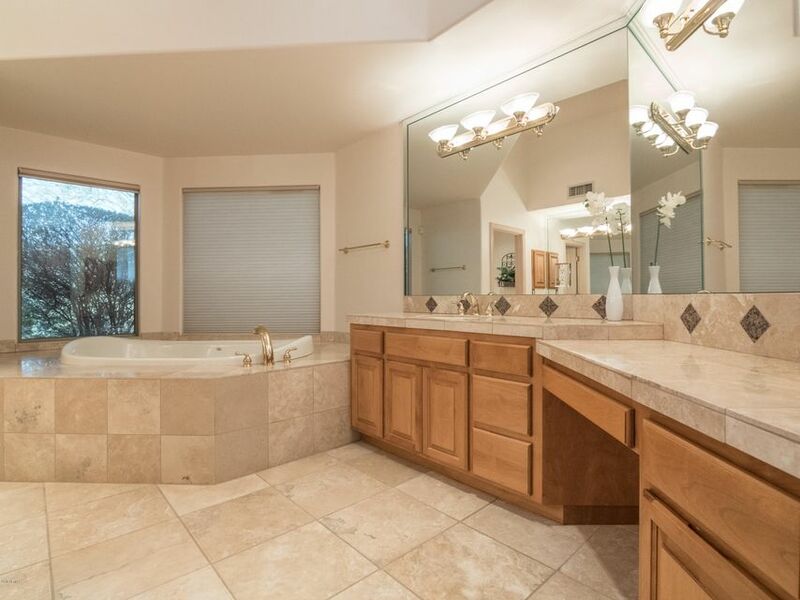 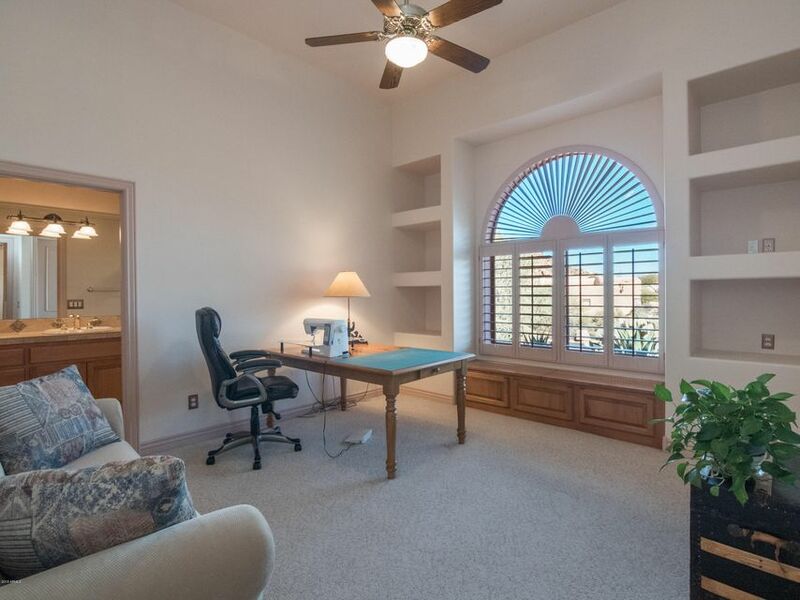 The master bedroom retreat offers beautiful French doors and views of Troon Mountain, a cozy travertine fireplace, large garden tub, tiled walk-in shower and dual closets. 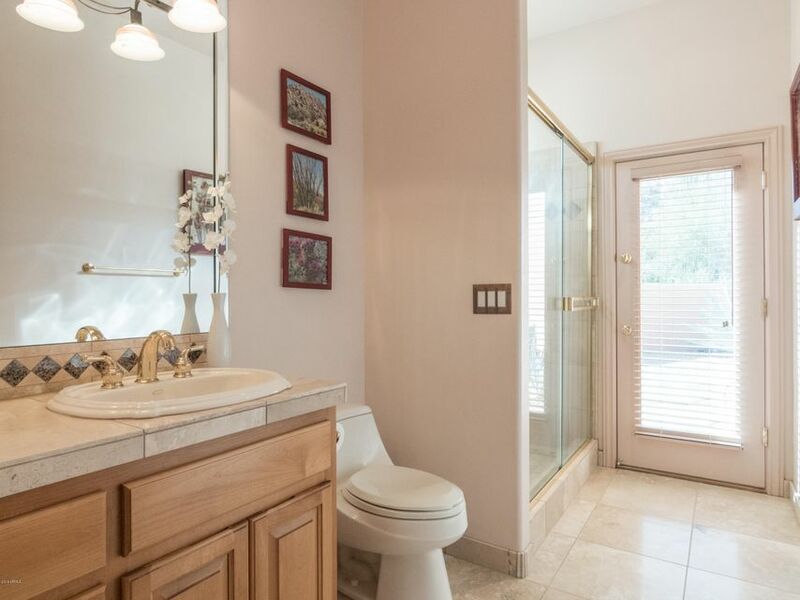 There are 3 additional guest bedrooms â“ all with ensuite bathrooms, one of which doubles as a pool bathroom with backyard access. 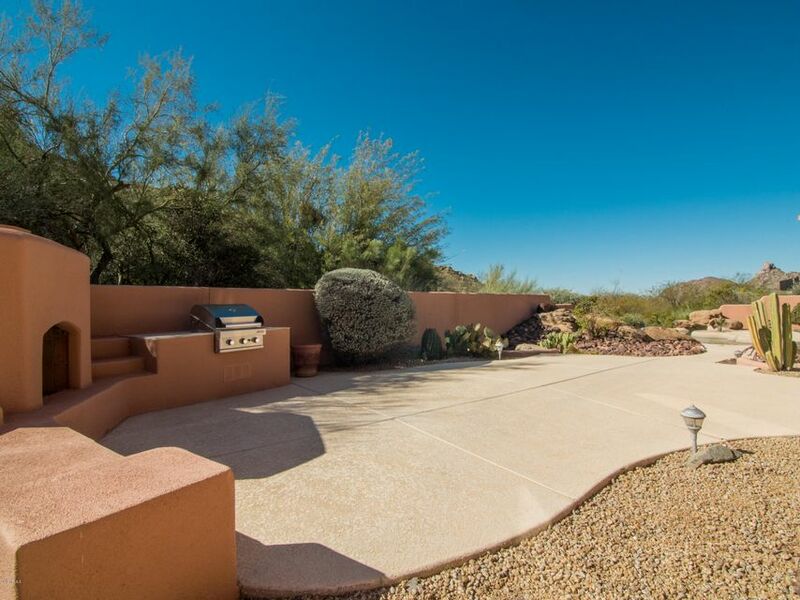 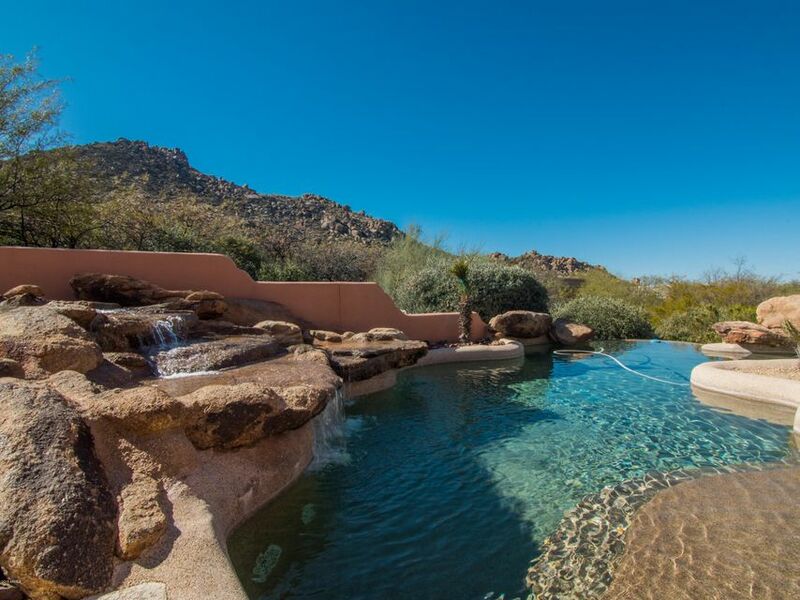 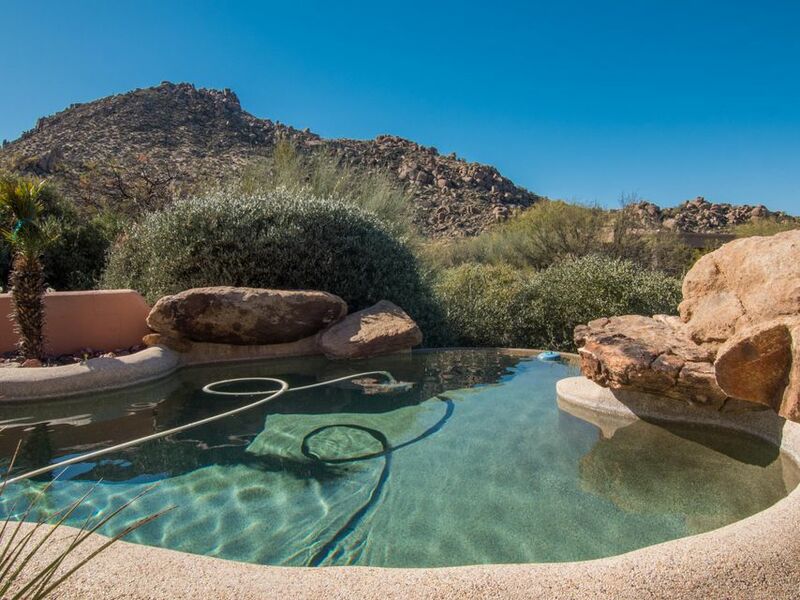 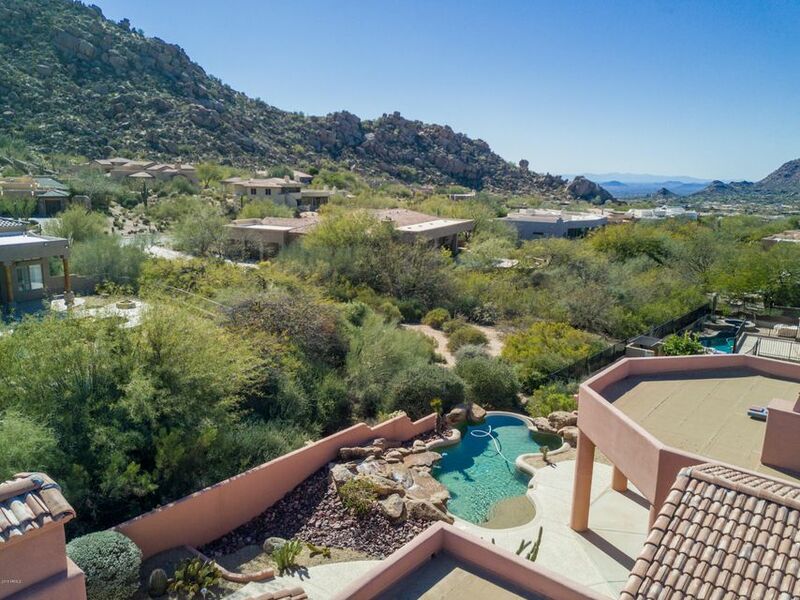 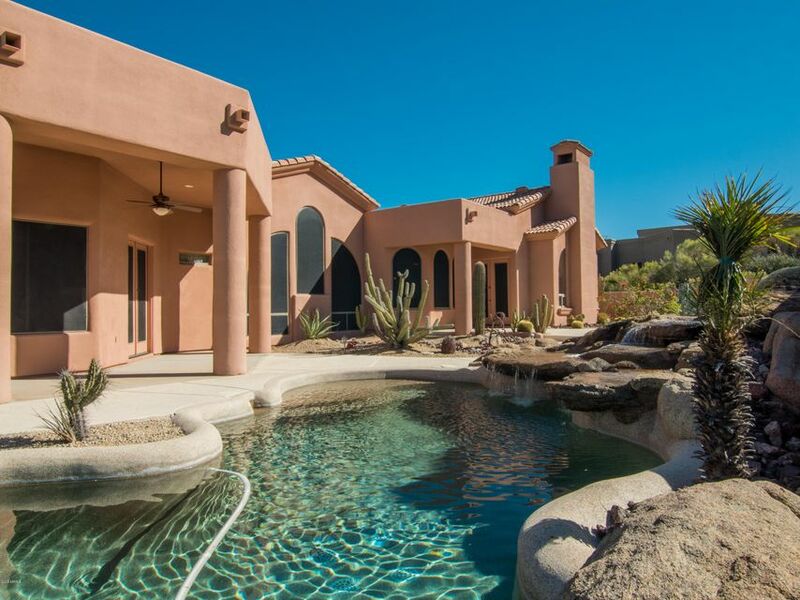 You and your guests will enjoy the spacious backyard with lots of entertaining area, a sparkling Pebbletec infinite-edge pool that spills into the desert landscape, and built-in BBQ while taking in the views of Troon Mountain and Arizona’s sunsets!